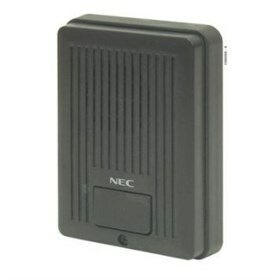 The NEC 922450 is the analog door box which is self-contained intercom unit typically used to monitor an entrance door. A visitor at the door can press the door box call button. The door box then sends chime tones to all extensions programmed to receive chimes. To answer the chime, the called extension user just lifts the handset. This lets the extension user talk to the visitor at the door box. The NEC 922450 has many exciting features for users of all types. You can extend the lifetime of your NEC 922450 with the purchase of a FactoryOutletStore Factory Protection Plan. The NEC 922450 is sold as a Brand New Unopened Item.